Quite simply, Ole Gunnar Solskjaer's input at Manchester United cannot be understated. The Red Devils have won eight from eight under his tutelage, looking mightily impressive in the process. The happiness has been restored and it looks as though all the players wanted was a licence to roam free and play attacking football. Paul Pogba and Marcus Rashford have been the major beneficiaries thus far, although the latter was rested for the FA Cup tie against Arsenal. In his place stepped ex-Gunner, Alexis Sanchez. United's #7 has endured a turgid first twelve months in the famous red jersey, but he could have just been given one final lifeline. It's crazy what a simple change-in-manager does for confidence. Although troubled by injuries, Sanchez has, typically, battled on and continued to put the work in. He was excellent against Newcastle as a second-half substitute earlier on in January, before playing a key role in United's victory at home to Reading in the FA Cup third round. When he was named in the starting XI for the Arsenal game, everyone knew he was going to score. He duly delivered with a brilliant finish from a tight angle. Almost overnight, Sanchez, like so many others at Old Trafford, looks like a man reborn. After struggling so far, the supporters will have to be won over once again, but when you've got his quality, you don't just lose that. At the highest level, it's all about confidence and believing in yourself. That goal will do him the world of good, and with games coming thick and fast he'll get ample opportunity to play. In football, time is critical in the sense that you don't get a lot of it to prove your worth. These days, if you're not playing well within a year, so often you're deemed a lost cause and sold on while you still have value. 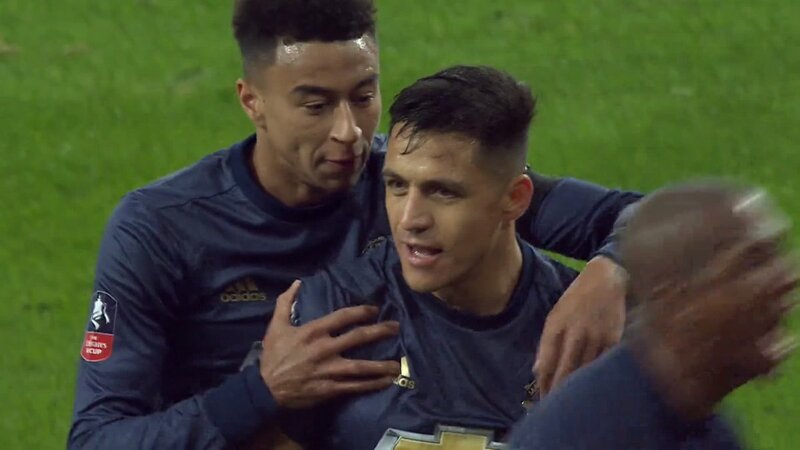 I feel that Sanchez was rapidly approaching that point before Solskjaer took control. For the 30-year-old, this upsurge in form has to be seen as a fresh start. If he wants to go down in United folklore, the world-class performances have to begin to occur with much more regularity. From now until the season's end, Sanchez has to grasp this chance with both hands and begin to prove to the world that his time at Arsenal wasn't just a fluke. People tend to forget just how electric he was in the last few seasons in North London, it's also lost in memories that his name was amongst the front-runners to win the PFA Player of the Year award back in 2016/17. He scored 24 league goals that season while tacking on 10 assists. I cannot remember the last time United had someone so prolific.